One of the frequent complaints made against the Narendra Modi government ironically by its own backers and supporters is the slow pace of investigation into scams and the NDA’s seeming inability in bringing the accused to book — an issue that had been a big part of Modi’s campaign agenda in 2014. This was, in fact, a question put forward to the prime minister during the ANI interview on Tuesday. 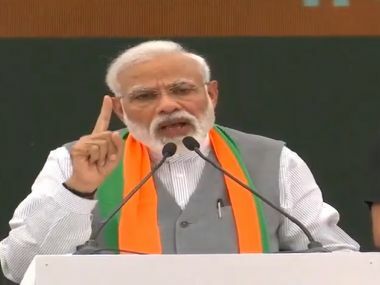 Modi pointed out that wheels of justice are turning slowly but inevitably but his bigger point was the assertion that the government would not make investigative and legal procedures subservient to political motives. “We are not in favour of political vendetta,” he said at the interview. 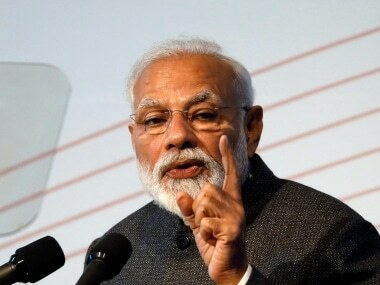 Even if one dismisses Modi's claims on non-interference in investigations, going by the letters of the 358-page judgement delivered by a special CBI court on 21 December acquitting all accused in the so-called fake encounter cases of Sohrabuddin Sheikh, his aide Tulsiram Prajapati and wife Kausar Bi — a copy of which was made public on Monday — it is evident that the Congress suffers no such compunctions about ‘pressing’ the investigative agencies into service into ‘fixing’ its political opponents. 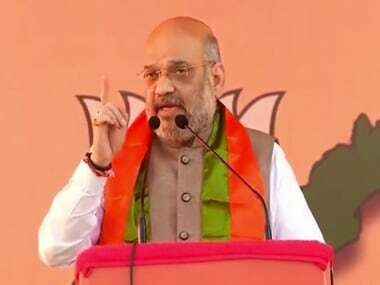 Special CBI judge SJ Sharma’s verdict has lent credence to BJP’s long-standing accusation that Congress had misused the CBI to hatch a conspiracy and “nail” Amit Shah in the fake-encounter case with the aim of eventually implicating Narendra Modi, the then chief minister of Gujarat. Justice Sharma, who has since retired, also made it clear in the judgment that the CBI has failed to prove any police-politician nexus and instead of pursuing the truth, was acting on a pre-conceived and premeditated notion to incriminate certain political leaders. The BJP has expectedly latched on to the judgement to hit out at the Congress for politicizing probe in the Sohrabudin Shaikh, Tulsi Prajapati, Ishrat Jahan, Rajinder Rathore and the Haren Pandya cases and pointed out that the Congress, which accuses the BJP of subverting the independence of public institutions, should first introspect on how it had undermined national security, forced the probe agencies to fight its political battle and destroyed the credibility of investigative agencies while in power. Jaitley’s accusations find corroboration in the judgement that cited the testimony of Amitabh Thakur, CBI’s chief investigating officer in 2010, who had been investigating killings of Sohrabuddin and his wife Kausar Bi. 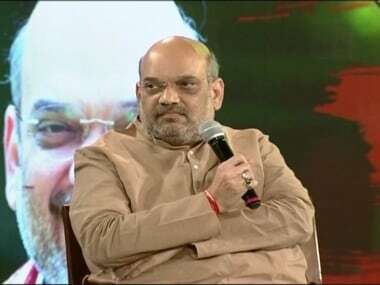 PTI reported that while Thakur alleged in the chargesheet that Shah and other senior officers and politicians made “political and monetary” benefits from the deaths, during his questioning in court, the former CBI officer admitted that he “did not have any evidence to prove” his allegations. “In his cross-examination, Thakur said that none of the 22 accused facing trial was a political beneficiary or monetarily benefited and none of them has the motive to kill Sohrabuddin. This is also one of the circumstances which favour the Defence,” states the judgement. The court in its judgement observed that “that a premier investigating agency like CBI had before it a premeditated theory and a script intended to implicate political leaders.” It went to state that “it clearly appears that the CBI was more concerned in establishing a particular pre-conceived and premeditated theory rather than finding out the truth” that involved acting “upon a script to achieve the said goal and in the process of its zeal to implicate political leaders”. The court made it clear that the “CBI created evidence and placed witness statements in the chargesheet”. It is rare to find a more damning indictment of Congress' misdeeds by the judiciary. It may be rarer still to find a more brazen attempt at eroding institutional independence and interfering with an ongoing probe to suit political ends. In a subsequent news conference, BJP leader and Union minister Smriti Irani cited the judgement as an example of the distance Congress may travel to “destroy” its political opponents. Both Jaitley and Irani slammed Rahul Gandhi for his cryptic tweet that seemed to be suggesting that justice was denied to Sohrabuddin Shaikh and others due to the acquittals. The Congress president has, of course, not commented on the details of the judgement that point to political interference in the probe and undermining of institutional autonomy. This presents a particular problem for Rahul Gandhi. Congress’s past casts such a long shadow that whitewashing of it is a futile exercise. For every accusation that the Congress may level at the BJP, there are skeletons waiting to tumble out of its closet. This not only hampers Rahul’s campaign strategy, it opens up an opportunity for the BJP to exploit. 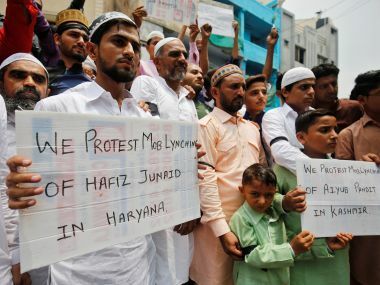 For instance, the BJP may point out that not only does Congress lack the moral right comment on institutional independence (as the prime minister pointed out during the interview citing Sohrabuddin judgement), the party’s attempts at moral outrage despite engineering such a brazen subversion expose its hypocrisy. In an election year, except BJP to press it home.